This beautiful teaching on the words of Tonpa Shenrab has been changed to a live stream teaching. 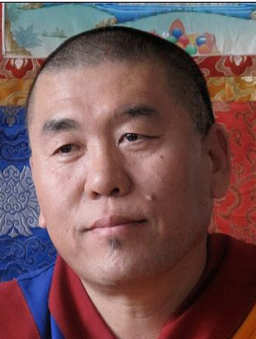 Tonpa Shenrab, the founder of Yungdrung Bon, understood that all sentient beings want to live a happy life. To bring this reality to all, he revealed the Four Noble Truths (Tibetan “Dhenpa Zhi”), with the express purpose of relieving the suffering of all sentient beings. This ancient and fundamental teaching is from the Khorlo Dangpo, or First Wheel of Bon. In which Tonpa Shenrab has taught us to deeply understand the aspects of the suffering. We create our own suffering. There is a reason why we create our suffering, and there is a way we can change our lives and remove our suffering. Rinpoche will teach us what we need to see that we do not need to live in the suffering of cyclic existence (samsara). While we will always have struggles, when we know why we struggle and how to manage our struggles, we can lead our lives in a meaningful way with a clear direction and path. Rinpoche will teach the simple but profound Four Noble Truths in the Bon tradition through his well-known and very effective style of lecture, question and answer exchange, and meditation. 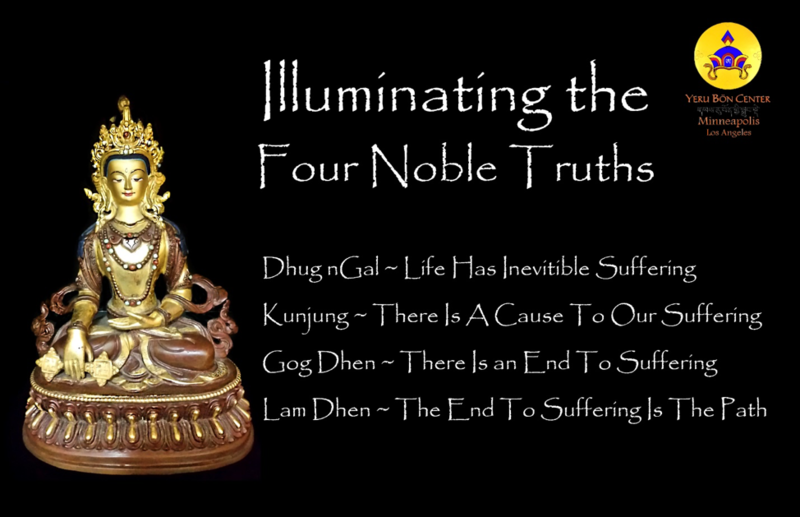 This format is designed to give students the tools for a clear understanding of the Four Noble Truths. This teaching can profoundly change your life. Rinpoche is a Bon master of this generation. A senior Rinpoche, at sMenri Monastery in India, the mother monastery of Bon, Rinpoche is also the abbot and lineage holder of Latri Monastery in Tibet. Rinpoche has taught in the West for over 25 years, and has a great ability to teach Western students of all levels easily and with grace. Rinpoche is the author of Door to Bon, and is currently working on two unpublished books. Yungdrung Bon is the pre-Buddhist religion of Tibet. Its history goes back approximately 18,000 years. Bon’s founder is Tonpa Shenrab Miwo. Yungdrung Bon has survived for centuries, and the ancient teachings and lineages have been preserved in a few monasteries in Tibet, India, and Nepal. Bon has been recognized by the Dalai Lama as one of the five sects of Tibetan religion.